Color Cube Sudoku by Thinkfun is a single player puzzle game. It is a spin on the traditional Sudoku by utilizing colors instead of numbers, and allowing players to physically manipulate the colors to find solutions to the puzzle. This is a logic game recommended for ages 8 to adult. The gameplay mechanics are quite simple, however, it is challenging to find a solution. To play you flip, rotate, and rearrange the cubes in the tray until no colors are repeated in a row in any direction. This follows the same core mechanics of traditional Sudoku by having there be no numbers repeated in a row. Per the box, there are “2 trillion color combinations, more than half a million solutions”. 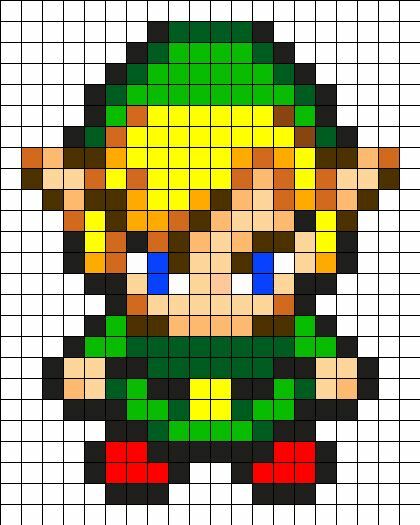 For those who enjoy logic puzzles there are Bonus Pattern Challenges you can incorporate into the game, which include: No diagonals, Big X (creating a x using two colors), Outer Box( (two colors form a square diamond), and Long Knight’s Path (reference to the knight in chess, form 4 cubes in a row and one to the right or left with six squares of the same color). This is a fun puzzle that is appropriate for the whole family and can be done as a single player or cooperatively. This game is recommended for ages 8 to adult, and for the challenges of the logical reasoning involved and the abstract thinking 8 and up is a good recommendation. However, since there is no reading involved and the pieces are large and easy to handle this could also be used by younger members of the family with support. This would be a good tool to play together and scaffold the logical thinking process for children. This would allow them to see the productive struggle through trial and error needed to reach a solution. Color Cube Sudoku is a kinesthetic logical reasoning puzzle game that is good for a wide range of ages. For families that enjoy puzzles this is a great addition to their collection. This could also be a light hearted way to introduce puzzle games and the Sudoku mechanics to the whole family. To find more educational games from Thinkfun keep your eyes on Engaged Family Gaming! Minecraft had two big announcements in their video revealed for E3. First, they are putting out a “Better Together” update. This was revealed in the first portion of their trailer which opens with one of the Minecraft landscapes with the words “Coming this Summer” in pixelated letters. The camera zooms forward and the next landscape has the words “Community Marketplace”. What Minecraft is revealing with this trailer is that this summer Minecraft will be available for Crossplay as the game is being unified. Now gamers can play across several consoles and platforms. These include; Xbox, Xbox X, Switch, Mobile (iOs and Android), Windows 10, and VR. Unfortunately, it appears the PlayStation 4 is not a console that will be included in the crossplay program. The second announcement is revealed in the trailer as the camera zooms into a tunnel and the screen goes dark. A moment later the camera emerges in the Minecraft world, with a vastly different look. Coming this fall there will be DLC called the Minecraft Super Duper Graphics Pack which will be available on Xbox One, and Windows 10. This DLC brings Minecraft into 4k, and while the pixelated aesthetic of Minecraft remain, the visual elements of the game are significantly upgraded. The way they are incorporating the quintessential Minecraft look while integrating 4K is accomplished with lighting and shadowing. The sky alone in the first look at the Super Duper Graphics Pack demonstrates the change. Sunlight is streaming through a light fog over the ground while clouds above maintain their pixelated shape. The trees below still look pixelated, but they are much smaller squares and have a more refined look. As the camera and the characters move there is a significant amount of shadowing that go along also giving the game a vastly different and richer look. With the level of detail, to get the most out of the Minecraft Super Duper Graphics Pack, you would need to have an Xbox One or a higher quality computer that is equipped for this level of graphics. For those gamers who are ready to change up the Minecraft aesthetic, and have the 4K level computer or Xbox One, this is the perfect DLC. Super Lucky’s Tale, a former Oculus exclusive is coming to Xbox One and Windows 10 November 7, 2017. The trailer for E3 kicks off with a super cute fox bounding around the screen with butterflies and also digging tunnels to travel. Then a giant flower enters and chomps it jaws. Before it can do much else the fox swipes it off screen with his tail. A giant book emerges next and the fox invites you to enter the world through the book.The major news point presented for this game is that it is Xbox One enhanced and can be played in 4K Ultra HD. Additionally, it is coming to store on Windows 10 and Xbox One, and it is an Xbox Play Anywhere title. This means buying it on one system permits accessed on the other. This platformer is aesthetically reminiscent of Skylanders with the whimsical setting and and the cartoon style bad guys. The world appeared to include a series of floating island that containing bridges and multiple level to jump up to and explore. Additionally, there were interior areas show with a range of different visual. Some of these included gears and a more mechanical look, a setting that included what looks like cut watermelon halves, as well as night time scenes. This looks like a very friendly game visually for younger gamers. In the gameplay shown there were a wide range of NPC characters which included; a tear shaped flame monster, and garlic creature exhausting odor, a giant stone creature with mechanical elements, ghost looking creatures, jack o’lantern pumpkin heads with skeleton bodies, and stone creatures with their pieces bouncing independently as they moved. None of the creatures appeared overly scary or intimidating. The trailer concludes with the fox back outside the large book from the opening with a variety of characters show in the game play of the trailer. The ground then shakes and the camera shoots up into the cloud where the most ominous looking creature see so far is presented. Presumable this is the major antagonist of the game. The trailer ends with the fox swiping his tail in the direction of this new character and covering the screen with his tail. This adorable game looks perfect for families, and has the potential to be a great addition to a family’s game collection when released November 7th. The letter cards have values based on the number of angles the letter contains, for example, a S has 0 points and an W has 3 points. Initially the letter cards are shuffled and each player is dealt seven cards. Each player also received 5 Cthulhu pawns of the same color. The remaining letter cards are placed face down as a draw pile. On each turn a player can either play a word (3 letters or more) or discard all seven cards and draw seven new cards. If they discard all seven cards their turn ends and they score no points. If the player is able to build a word, which meets the criteria in the rules, then the player then earns the number of points displayed on the cards in their words. Next, they must then roll a Sanity Check by rolling the 20 sided die. The number they roll must be the same or greater than the number of points in their words. Regardless of the roll the player earns their points. If they succeed with their roll the player just draws cards to return to seven cards in their hand, and their turn ends. If they fail their roll, however, they player has to take one of their Cthulhu pawns and discard it in the center. When a player only has one pawn remaining they no longer need to create real words (since they have lost most of their sanity). If a player loses their last pawn they are out of the game. To win a player must reach 100 points and succeed on their sanity check on their final turn. Unspeakable Words Deluxe Edition is a lighthearted word game. The words do not need to be complicated or utilize an extensive vocabulary, however the strategy and multiple steps at each turn make it challenging for younger players. The rating of 10 to adult seems quite appropriate, you might be able to go slightly younger with an 8 or 9 year old if they are savvy with multi-step turns and are good at building words. Even though this is a Cthulhu themed game the illustrations on the card and the Cthulhu pawns are cute not scary. The flexibility with the number of players is also an asset for bigger families or when there are several friends or family visiting. Unspeakable Words Deluxe Edition is an amusing word game. The sanity checks you need to roll with each word played keeps the game light and silly as each player slowly loses their “sanity”. I was able to play with 7 other adults and we were “assisted” by one of the other adult’s 4.5 year old. Even though it was a game with 8 players, it moved quickly and kept everyone entertained even when they had been eliminated from the game. This game is a great addition to any family game collection with older children. Imhotep is a Egyptian themed game by Kosmos. It is named for the first, and most well known, Egyptian master builder: Imhotep. Over the course of the game players use wooden blocks as stones to “build” different ancient Egyptian structures. The game is designed for 2-4 players ages 10 and takes about 40 minutes to play. Imhotep was also a 2016 Spiel des Jahres nominee. The components of the game are of good quality. The wooden blocks are substantial enough to give the illusion of the stone block they represent. The artwork of the board is beautiful and has the characteristic ancient Egyptian look without it looking ancient. Instead the art has the aesthetic that the pharaohs might have seen during their era. The objective is to build various structures in different ways to earn the most points. Some points are awarded at the end of each round and some are awarded at the end of the game. The are five locations to sail the ships are the Market, Pyramids, Temple, Burial Chamber, and Obelisks. One action a player can take is to sail a ship. There are different numbers of stones the ships can hold and to minimum sail. Once all the ships have sailed and the stones placed, then the round ends and points needing to be added are calculated before resetting for the next round. One of the places to said to is the Market and any player whose stones are sailed to the Market earns cards that can give them bonuses at various points of the game. At the end of the 6th round final points are counted and the winner is determined. Imhotep has an alluring aesthetic to draw in younger gamers. Ancient Egypt has a great deal of appeal to a wide range of ages. This is a game that is easy to learn, but has a deeper strategy that is much more challenging. Initially the age rating of 10 and up seemed a bit old to me since the game is so easy to learn. However, as I played through the game it became apparent how the deeper strategy comes into play and adds a rich layer and unexpected complexity to the game. That being said, since the game mechanics are easy to learn I feel that this game could scale slightly younger to be about 8 and up, especially with savvy gamers.This is also a wonderful gateway game to bring to the table with inexperienced games especially if the Egyptian theme is appealing to them. Again, being easy to teach and not having overly complicated mechanics will make the game much less intimidating. Imhotep is a a very family friendly game. The game can scale younger to involve slightly younger members of the family. The younger player may not be able to discern the strategies involved, but they should easily be able to follow the mechanics of the game. This is a beautiful addition to any family collection and can be enjoyed by players with a range of skills. Legend of Zelda is a fan favorite for adults and kids alike. In it’s thirty year history it had become an icon in the video game industry. 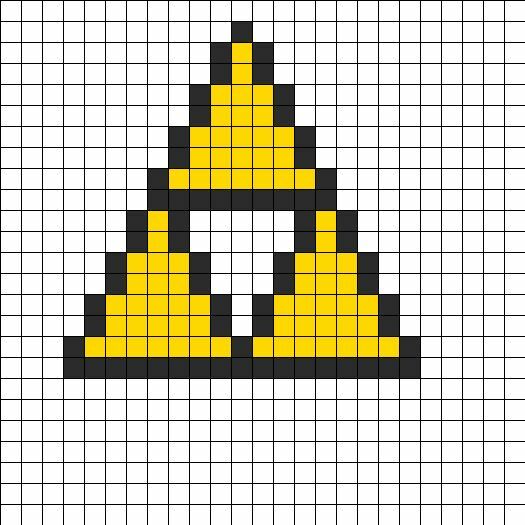 With its popularity, there are countless bloggers and other resources available to spark the creativity of your child’s ( or your) enthusiasm for all things Zelda. Finding crafts appropriate for kids can be daunting in the plethora of cosplay ideas. 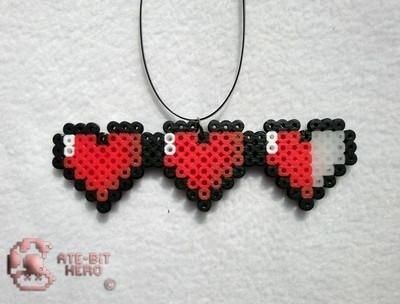 One source of kid friendly crafts are the range of 8-bit designs. 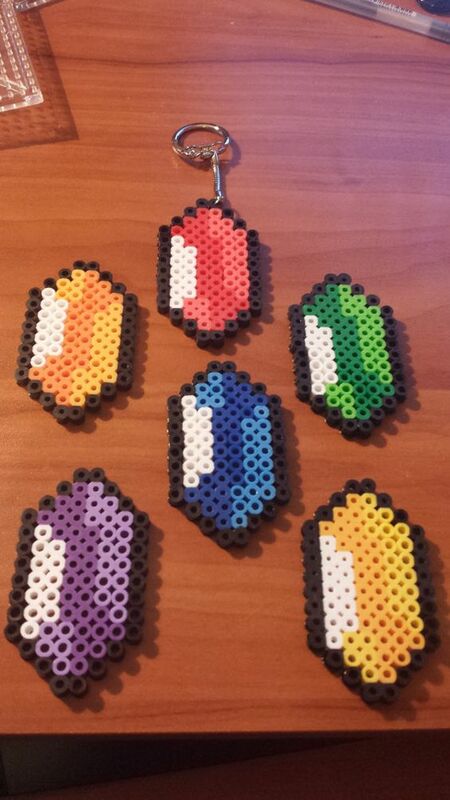 Many of these were designed to be used with perler beads. 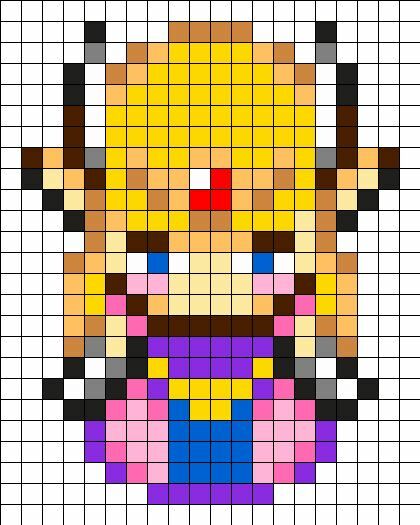 The perler beads are a perfect craft for elementary school age children. They are small plastic beads you arranged on a grid base, cover with parchment paper and fuse with an iron once the design in complete. These same layouts could be used by budding artist to draw on graph paper. A more advanced crafter could embroider these designs in cross stitch, crochet a blanket, make quilting squares or create a full quilt just to name a few. 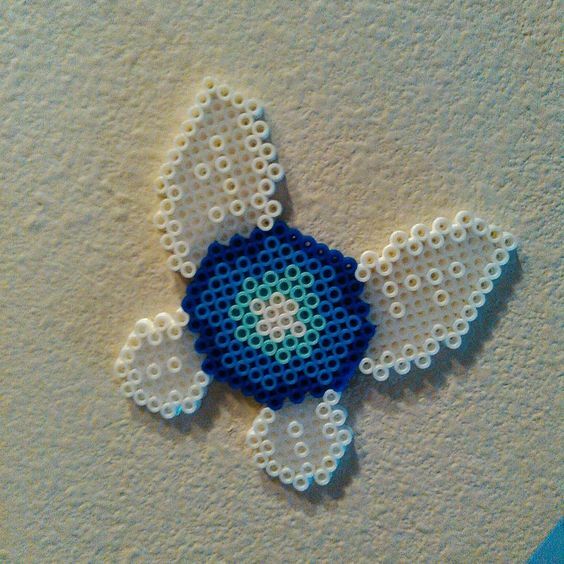 For a different kind of kid friendly craft a Zelda fan who enjoyed Ocarina of Time may want to create their own Navi. 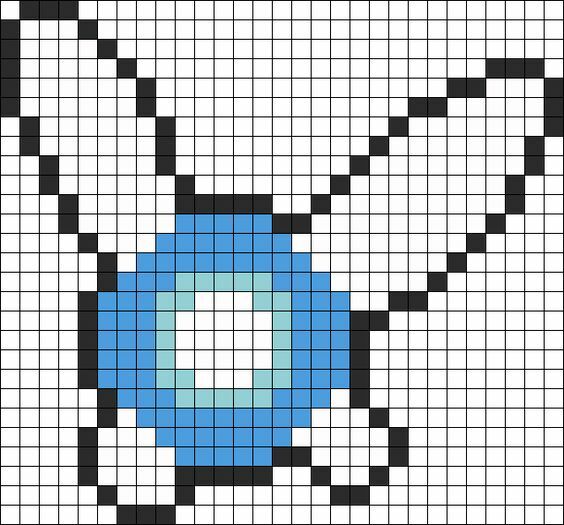 Below are two which appear to be easy and are a creative way to have a young fan create their own Navi. This first project appear to be an intermediate crafting difficulty, it involves wrapping yarn around a ball and what appear to be pipe cleaners or wire. There are no directions, the photo is from an etsy.com posting. This second project is a homemade pompom Navi. This one has the steps depicted in the pictures. 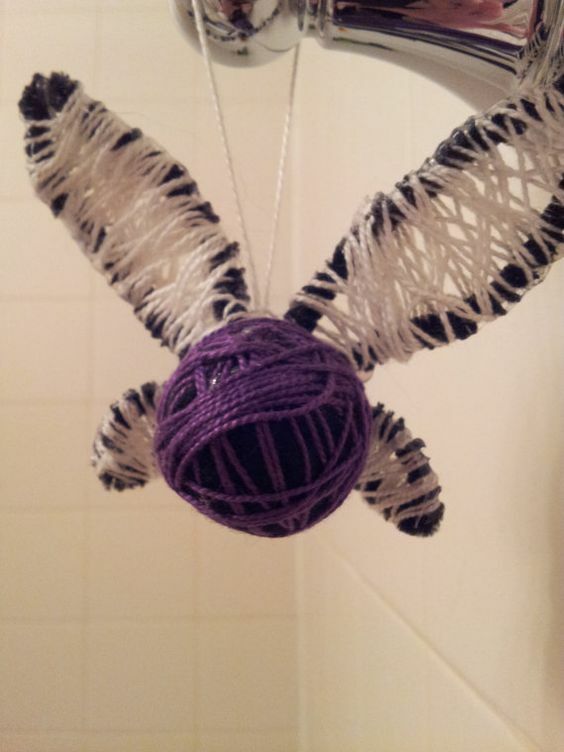 Again this is not a beginner craft but is more of a hard beginner to an intermediate level, based on the steps involved. Finally, for one final Zelda fan feature is the Sheikeh. In this link the crafter is using a wooden door hanger and painting it. Based on my crafting experience with kids, I think this project could be made easily with kids using fun foam for all the pieces including the door hanger. That would also omit the painting step, if that simplification is desired. Foam is an easy material to cut and glue with Elmer’s liquid glue or even a high quality glue stick. 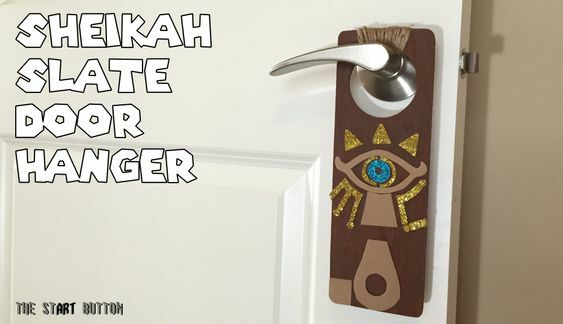 These are great crafts for kids to create Legend of Zelda themed crafts. The difficulty can be scaled up or down depending on the skill of the child and the level of support desired by the adult. 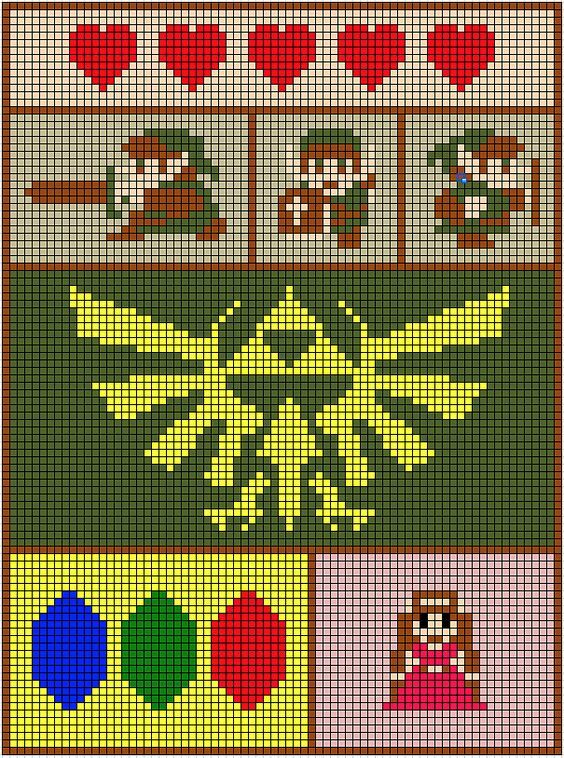 These can be fun ways to spend rainy days and create decorations for their rooms or for other Zelda fans. Zingo is a bingo game with a few twists by Thinkfun. The game is for players ages four and up and can play two to six players, and game play is quick and a game take 15-20 minutes. One player manages the dealer roll. The dealer slides the Zinger forward and back to reveal two tiles. When a player sees a tile that matches an image on their card, they call out the image’s name and then take the tile. If two or more players call out the tile it goes to the person who called it first. Players put the tile on their board over the matching tile. The dealer returns any unused tiles to the Zinger through a slot in the top. The winner is the first player to cover all nine squares on their card. Zingo is a great game for young players. Each of the tiles includes both a word and a cute image representing that word. This makes the game playable for kids that are still early (or non-) readers. The cards are also great for building reading vocabulary with word recognition of the common items on the tiles (such as cat, foot, kite, etc). The extremely simple rules can be learned in minutes even by young players. The game is recommended for ages four and up and that is a good assessment of the appropriate age range. Zingo could also scale slightly younger based on the high picture support, especially when played with an older child or adult. The random distribution of the tiles makes it anyone’s game, and the Zinger is a fun way to distribute the tiles. The Zingo boards are also two levels of competition so the game is easier to scale up or down depending on the age and competitiveness of the players. The Instruction Manual and Parent’s Guide includes game variants. Zingo is a great game to have for young players. Thinkfun has also created multiple versions of ZIngo published by Thinkfun. They include: Zingo 1-2-3, Zingo Sight Words, Zingo Time-Telling, and Zingo Word Builder. These can be great ways to develop beginning reading and math skills, and for preschool and primary students the Zingo variations are a great fit. The random nature of the game allow for play with the whole family. Gravity Maze is a single player logic game designed for ages 8 to adult by Thinkfun. This game challenges the player to set up towers as indicated on a challenge card. The player then adds towers to the game grid. The objective is to create a maze so a ball can travel from the Start Position to the Target Tower. The components of the game are good quality, solid plastic. They are designed with clear exterior framework and brightly colored interior elements that can direct the ball in a range of directions. Each size is a different color, and the pieces are color coded on the Challenge Cards. The player selects a challenge card. There are 4 levels of play: beginner, intermediate, advanced, and expert. The 60 cards are numbered and get progressively harder as they move within each level of play. The player selects a card and looks at the location and colors of the pieces displayed on the picture. They set the Game Grid up to match the picture on the card. There are black dots on each of the tower pieces and those dots correspond to the picture on the cards to ensure you are orienting the piece correctly in the set up. The interior of the tower has different sections which will allow the marble to either pass straight through, or the square in divided in half in a range of directions. Next, at the bottom of the card, the additional pieces to complete the challenge are listed. The piece that is the starting place for marble is noted with a white dot on the card, and the target tower is represented by a red box with a target on it. As the challenge level increases you need to be more and more creative with the placement of the towers, including putting them upside down. Once the player has placed all the pieces where they believe they will allow the marble to travel to the target, they place the marble in the top of the starting town and see the path it actually takes. If the marble does not go into the target tower, the player simply revisits their setup to make the needed adjustments until they are successful. If they are stuck, a solution is provided on the back of the card. Once the marble has traveled into the target tower, the player can then select another card and complete an additional challenge or conclude their game. Gravity Maze is a wonderful game for children to develop their logical reasoning and problem solving skills. Gravity Maze is recommended for ages 8 and up, and has the potential to be frustrating for players in the younger range as they advance in the challenge levels. While this is designed as a single player game, teamwork and collaboration could be incorporated into working though the problem solving this game demands. Younger players especially could benefit from adult coaching to strengthen their perseverance. Knowing the solution is on the reverse of the card, it may be tempting for them to look to the solution right away. In contrast, with older players, they may want to work through the challenge independently. Then, they can share their results, and another player could solve the next card. For a simple single player game, there are a range of options to incorporate other members of the family. Gravity Maze won the Toy of the Year Award in 2015, and it is clear why. Gravity Maze is a wonderful STEM (Science, Engineering, Technology, Math) game to develop a range of skills including: logical reasoning, problem solving, and guess and check. Additionally, this game has the possibility to enable the player to experience a productive struggle as they work through the challenge cards. Being able to persevere through a productive struggle can make them more comfortable having to work through unsuccessful attempts to find a solution academically. If you or your family enjoy logic and reasoning games, this is a great addition to your collection.